Discover our beers with our handy packs or buy them as a gift. 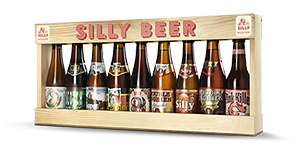 A wooden casket containing nine bottles of beer: Double Enghien Blonde and Brune (33cl), La Divine (33cl), Silly Pils (25cl), Blanche de Silly (25cl), Saison Silly (25cl), Pink Killer (25cl), Scotch Silly (33cl), Super 64 (25cl). 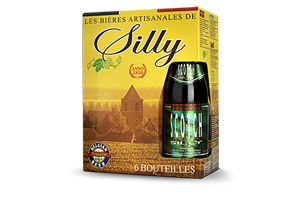 Six beer styles in one handy pack: Double Enghien Blonde (33cl), Blanche de Silly (25cl), La Divine (33cl), Saison Silly (25 cl), Scotch Silly (33cl) and Super 64 (25cl). 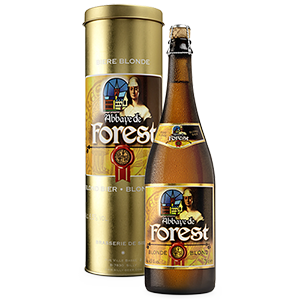 A bottle of Abbaye de Forest (75 cl) in a classy metal gift box. 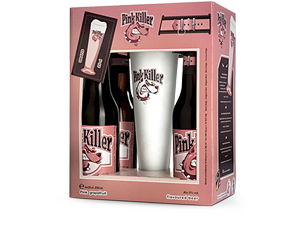 A gift box containing four 25cl bottles and a Pink Killer glass. One pack, with a choice of two bottles of Abbaye de Forest, Enghien Blonde, Enghien Brune or Scotch Silly, accompanied by two small Silly tasting glasses. To know where the packs are available, click here or call us at +32(0)68 25 04 80.